Welcome to the 2019 SSC website! 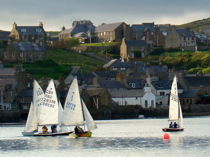 Stromness SC is a small and friendly sailing club based at the Ness Point end of Stromness harbour, close to Stromness Golf Club. Click on the Orkney Map to the right to zoom in on the location, indicated by a marker. 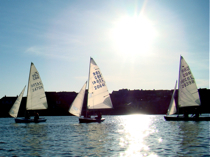 Check out the Stromness Sailing Club's Facebook page. The membership of Stromness SC comprises a mixture of dinghy sailors who race during the summer season and others who sail just for fun. The main class of dinghy raced is the Snipe and around thirteen of them are based at the Club. Having a principal class ensures that there is good racing. For more information about racing click on the Club Racing link here or on the menu. New Members are welcome and information about membership fees are given on the Membership page. If you do not have your own boat you might consider offering your services as crew. Some skippers have regular crews but others have to settle for picking up whoever is available or not sail at all. If you are not already experienced, crewing is a good way to learn the ropes and gain confidence in a boat. Building up a stable partnership between skipper and crew helps to improve competitiveness. Crews also have their own points series and the Club aims to offer one Crew Race each Thursday evening, weather permitting. 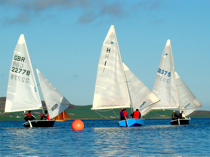 Although Stromness SC is not itself an RYA Training Establishment, a few members are trained RYA Dinghy Senior Instructors and Dinghy Instructors and able to provide training for adult and junior members. From 2019 the Club plans to continue to train following the RYA syllabus but to have its own certification scheme as arranging RYA certification is not always straightforward. Copyright for all images used on this site remains with the relevant photographer.